Open interest provides useful information that should be considered when evaluating an option position. When trading stock, there is a fixed number of shares to be traded, or shares outstanding. However, when trading an option contract, you may be opening a brand-new position or closing an existing one. That’s why whenever you enter an option order, it’s not good enough to simply say "buy" or "sell" as you do with a stock. You must also specify whether you are buying or selling "to open" or "to close" your position. For each buyer of an options contract there must be a seller. From the time the buyer or seller opens the contract until the counter-party closes it, that contract is considered 'open'. Open interest is the total number of option contracts that are currently open, contracts that have been traded but not yet liquidated by either an offsetting trade or an exercise or assignment. While there may be as many open option contracts as trader or market demand warrants, options do have position limits as established by exchanges and regulators to manage marketability and eventual contract closure following expiration dates. Open interest is challenging to dissect. A common mistake among new traders to options is to consider open interest as the same as the number of option contracts traded. Both a "sell to open" and "buy to open" position can but will not necessarily increase open interest. Similarly, "sell to close" and "buy to close" can but will not necessarily decrease open interest. When an option is traded with one party opening and one party closing, the open interest remains unchanged. If both parties in the transaction are closing positions then the open interest decreases. If both parties are opening positions, then the open interest goes up. There is no way to exactly determine how many "sell" and "buy" positions or trades are executed, only the net total open interest amount. Like volatility, it has no directional component, it is just an end of day tally of unsettled contracts. Open interest is calculated centrally on an end-of-day basis by the Options Clearing Corp (OCC) for US options. The next morning, Open interest is displayed on the OCC web site but it is not distributed industry-wide until the next business day morning. The impact of this difference is felt over the weekend when the OCC web site is showing Friday's open interest but other financial sites are showing Thursday's open interest. For the rest of the next trading day the open interest figures remains static. Open interest can vary from the call side to the put side, and from strike price to strike price. Open interest is an especially important metric for market makers and professional traders. 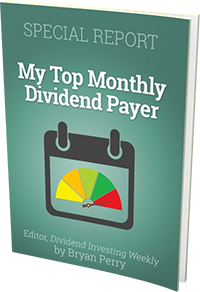 It provides insight in helping to choose which option strikes to trade, for example in executing dividend capture strategies. A large cluster of open interest around strikes can be interpreted as a possible trading opportunity and can signal a stock price pin at expiration. If a break in stock price occurs through a large open interest at a particular strike, the move can be magnified by forcing hedges and stop losses on option positions as the stock breaks through the strike prices. High Open Interest can also be viewed as an indicator supporting current market moves or committed positions that are investment bets on future stock outcomes. Additionally, traders may further parse high open interest to specific expiration, strike and option type to assess what the order flow is actually targeting, and track the performance and implied volatility of that specific option. By analyzing the changes in the open interest figures at the end of each trading day, some conclusions about the day’s activity can also be drawn. Increasing open interest is an indication that new investment is flowing into the market. The result will be that the present market momentum (up, down or sideways) is likely to continue. Declining open interest indicates the market is closing positions (liquidating) and implies that the current price trend may be coming to an end. Knowledge of open interest can also be useful toward the end of major market moves. A leveling of open interest following a sustained price advance is often an early warning sign of an end to an upward movement in the market. However, neither an increase in volatility nor open interest necessarily indicate anything about the direction of future price movements. It is important to note that high open interest for a given option contract means there is high interest in that option, but it does not mean that those trading the contract have the same or a correct forecast on stock movement. For every option buyer who expects one result, there’s an option seller expecting something else to happen. Open Interest and Put/Call Ratios can be revealing indicators of how option traders and order flow are moving. Some investors consider put/call ratios as a contrary indicator because these metrics reach extremes at the height of an emotional trading event. Others may view this as a build up to a bigger and longer momentum play. The metrics can be used in combination with other statistics to gain an insight into order flow sentiment. To view the Open Interest for a single contract use the Option Chain page. To view the Open Interest for a single expiration in a symbol, use the Option Breakdown page. Open Interest is displayed along with each trade in the Option Trades page for a given contract. Open Interest appears in several sortable columns on the Option Screener By Expiration. Open Interest for the contracts traded in large trades appears in the Option Trades Screener. A 5-day Open Interest trend for every stock with listed options is available in the Open Interest Trends (paid subscription required). Open Interest By Symbol and Open Interest By Expiration reports allow sorting/filtering Open Interest across all stocks (paid subscription required).